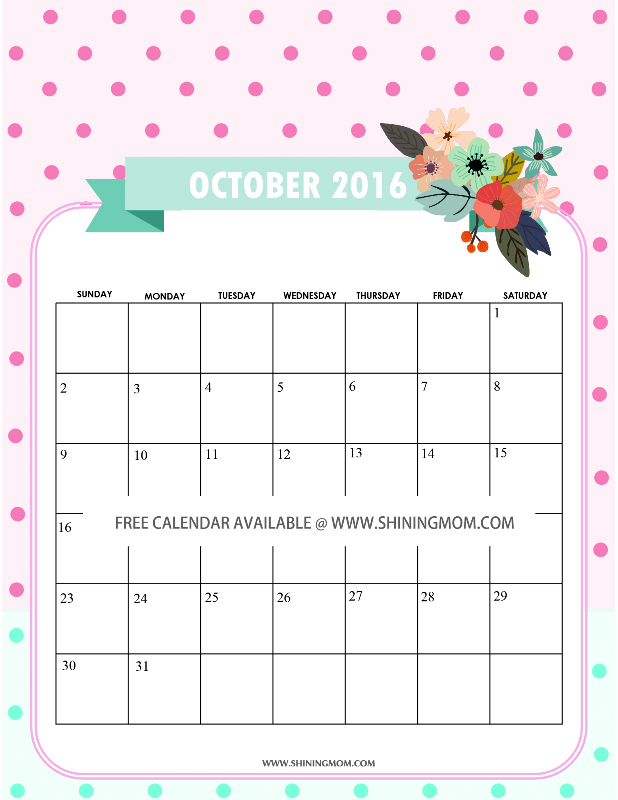 Are you here for your free printable October 2016 calendar? Come browse through! I have once again created a dozen of calendar designs for you to choose from! 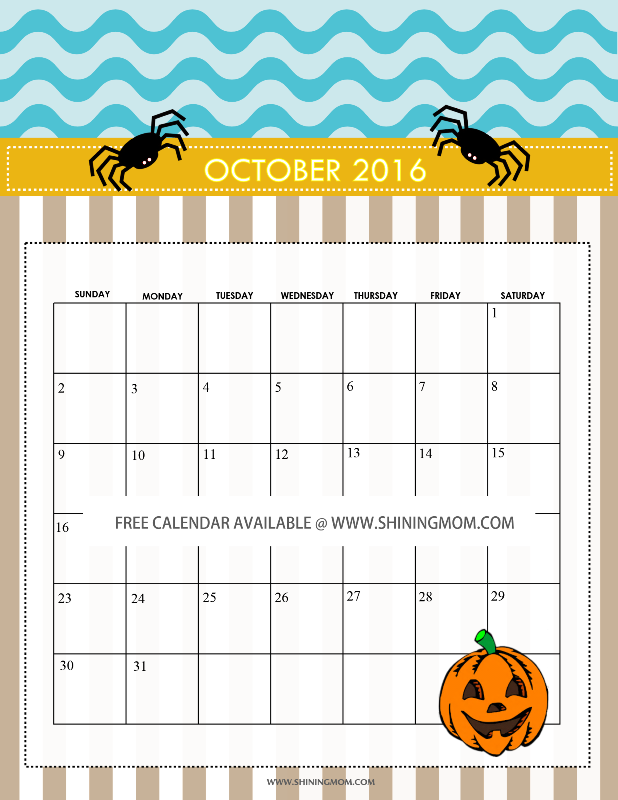 And since it’s the Halloween month, you’ll also get to enjoy spooky yet cute calendars for the younger ones, all for free! 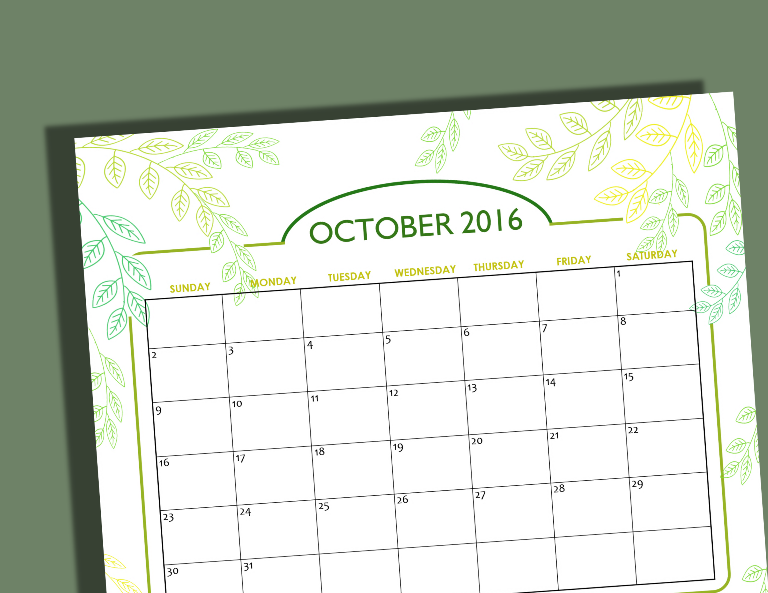 Your free October 2016 calendars are now available! You have a dozen to choose from, including Halloween themed designs! 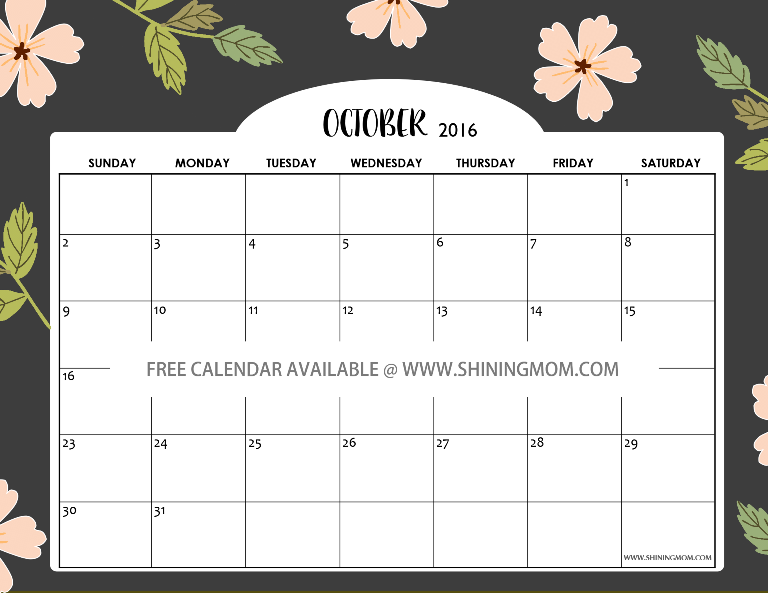 Without further ado, here are the free October 2016 calendars I am sharing with you. Some are absolutely new designs while others are my favorites for the past releases! And oh, do find the Halloween calendars towards the end of the post! Enjoy! I know a lot of you are really want a calendar with an area for some notes. 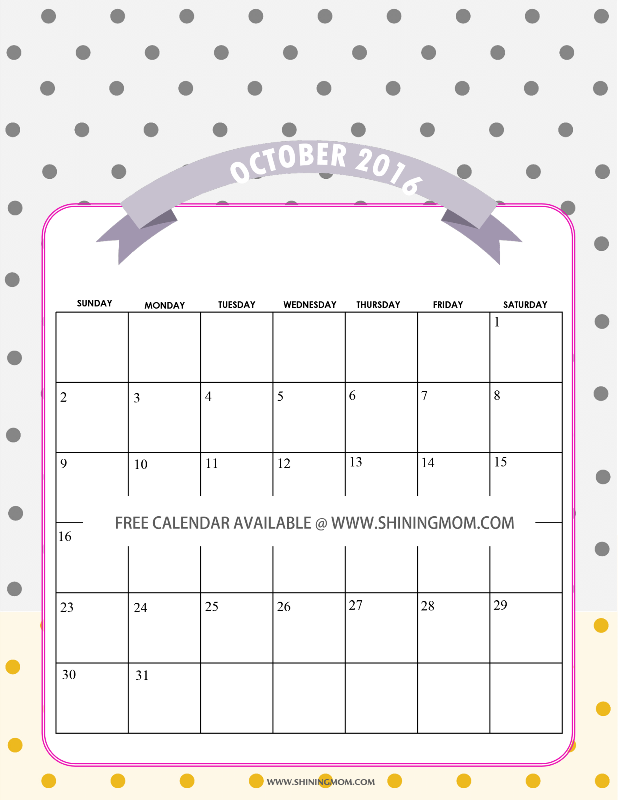 This sweet free October 2016 calendar design with candy colors has a special spot for your notes! You may consider getting a copy for your perusal this month! Tell me, isn’t this calendar so adorable? You have seen this calendar for the past months and I keep sharing it and recreating it because I just love it! Hahaha! Get this for your home and office use, ladies! I told you, I love this design so much! Here another one in white background! The perfect calendar for your coffee table! Looking for a cute design in portrait? Here’s a calendar that I think you might like! Here’s a nature-inspire calendar that also great to print from this set. Those swinging leaves sing bliss! This has been a favorite design of some of you from the past releases! 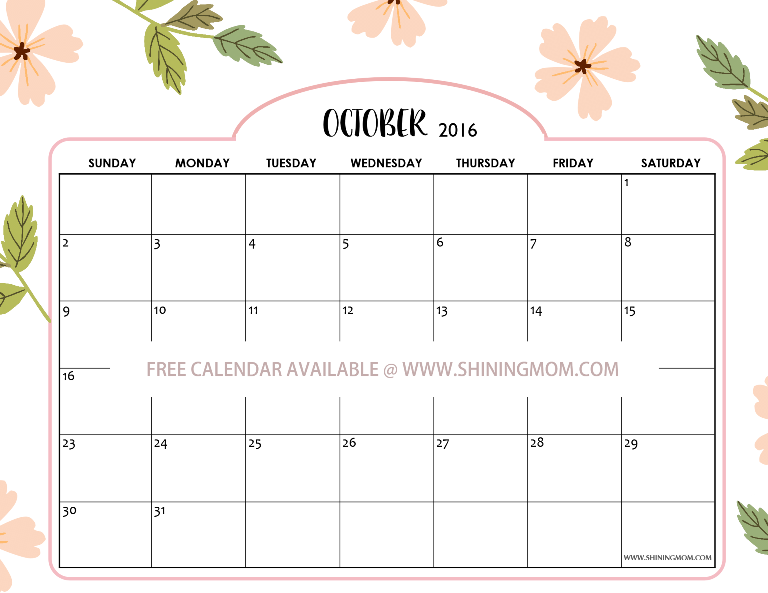 Free Printable October 2016 Calendar: Cute and Girly! Which ones are you getting this time? To ease you a bit, all the PDF copies of the calendars in landscape format are HERE while the ones on portrait are over HERE. Next stop, your free Halloween calendars! Keep scrolling down to view them! Looking for some Halloween-themed calendars? Our next designs are definitely spooky yet cute that kids will love! These Halloween calendars are great to use in your homes and for the teachers to use in their classroom walls! Print them off to use for your every day countdown till the Halloween party! We have three Halloween-inspired calendars for you to love and choose from! 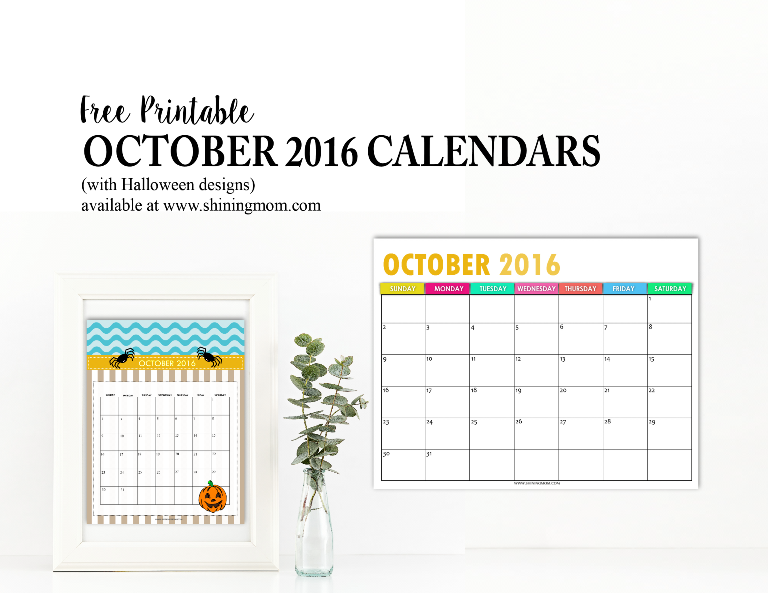 Our first calendar in this collection is nautical inspired with some Halloween elements. 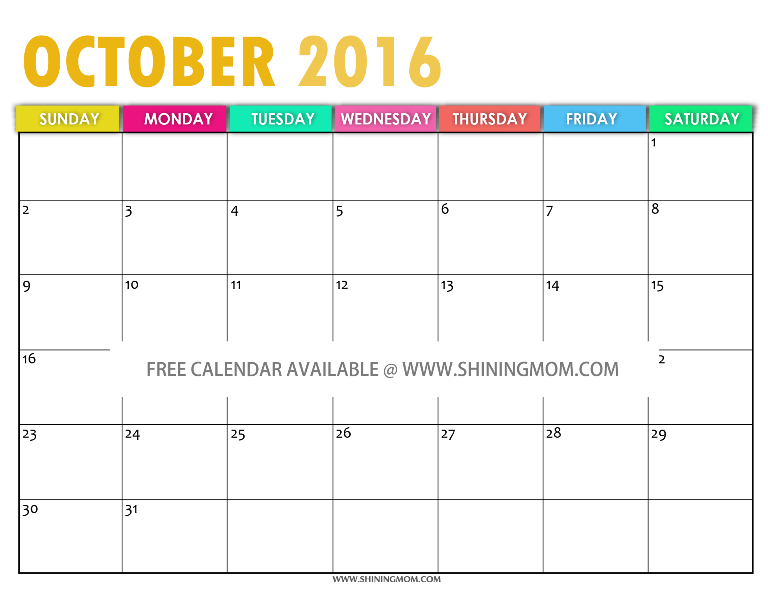 Great to print off for yourself or to hand to your school boy to use as a calendar planner for October! 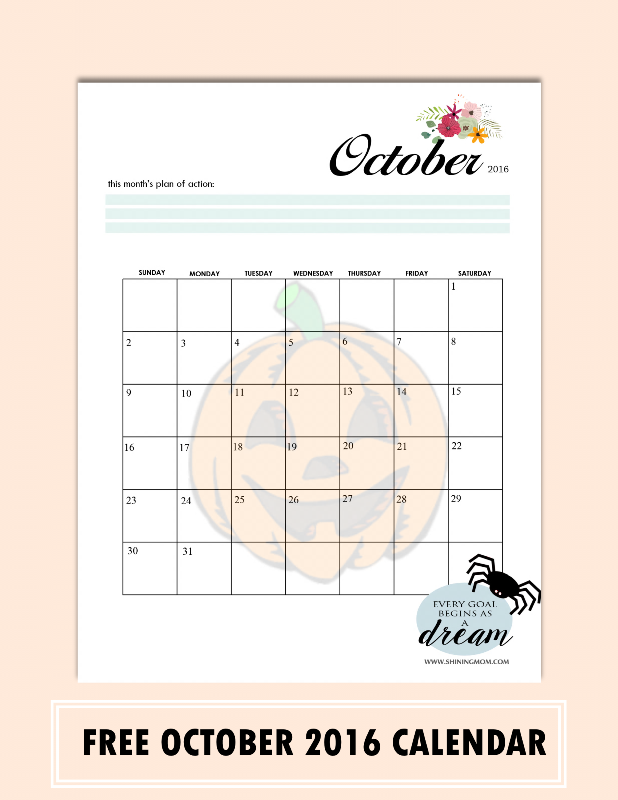 Looking for a Halloween themed calendar with a dab of femininity? 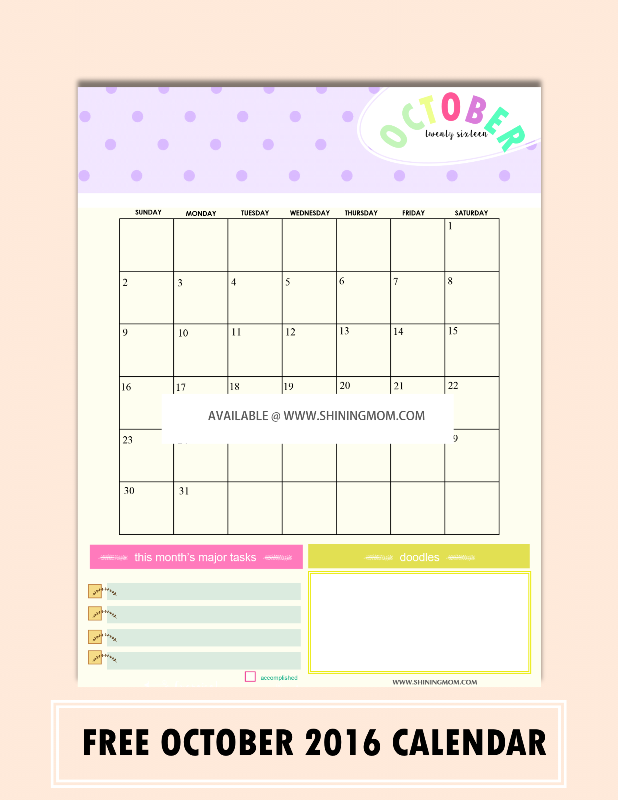 Here’s a sweet calendar design that you can use! 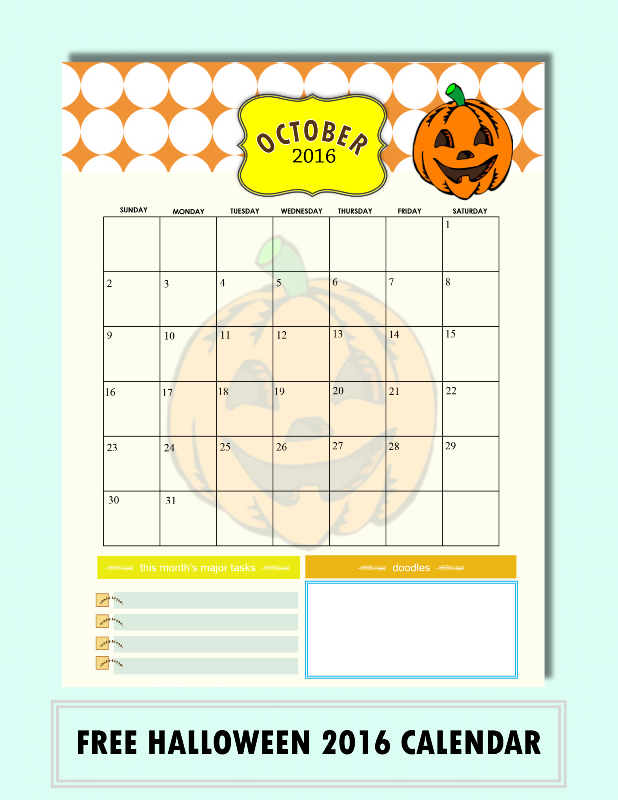 Your next Halloween 2016 calendar is another spooky yet fun design. Print this off for the little ones and hang it around your home as you all together to the family countdown till your family Halloween party right in your abode! Are you getting all of the three Halloween-inspired calendars? You can do so in just one click over HERE. Again, they’re in PDF copies! Feel free to print copies for you friends and loved ones! And should you like to plan ahead, your monthly calendars for November and December are out already! May you be blessed by these calendars! Have a great day ahead! Update: I am so excited to announce that I have already released my planner and calendars for next year, 2017! They’re absolutely darling and I think you’ll love them! Get the PLANNER and the CALENDAR now! « Happy Freebie Monday: A Pretty Travel Planner! I really love these calendars but I was wondering if there was anyway I could get it with out the wording in the middle of them?